Coming face-to-face with polar bears in Churchill, Man. This trip got real, really fast. As our six-seat Cessna 206 began its descent to Churchill Wild’s Dymond Lake Ecolodge, a 20-minute flight from Churchill, Man., I looked out the window and saw two polar bears lying down not far from the gravel landing strip. After landing, our group of six was to walk to the lodge, about a 10-minute trip; not halfway there, we suddenly saw two polar bears sparring. They were quite a distance away and behind trees, but the display stopped us in our tracks. This wasn’t the time to stop and unload cameras, so it was a moment shared only between the few of us. To witness two bears fighting and kicking up snow was a spectacle that had me instantly planning to come back — and the adventure had just barely begun! The question I get again and again about my Churchill Wild experience is, “Did you feel safe out there?” Seeing the apex predator of the Arctic in person for the first time definitely gets the adrenaline pumping, but from our first encounter onward, we felt completely comfortable around the bears — the guides are that good. Sometimes we gently approached bears; other times they cautiously approached us. 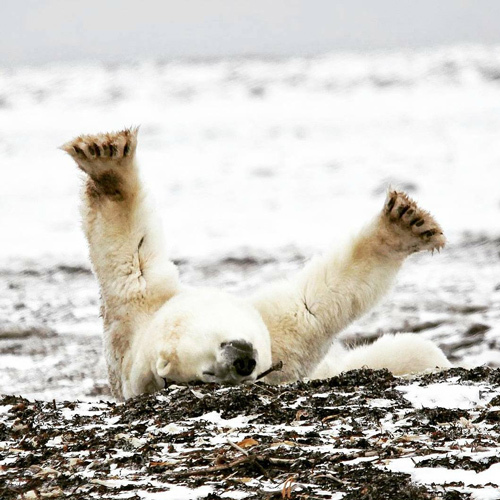 When you’re on the tundra with polar bears, there’s this magical unspoken communication that happens between you and the animal. Few people will write about this unique occurrence at length because it’s hard to imagine and explain, but I will do my best. In every encounter, there’s this instantly noticeable transfer of energy between you and the bear. Every one of your senses is heightened, yet you are absolutely still. The bear walks toward you, slowly and calmly, sniffing the ground and air as it inches closer. The exchange paints an imaginary ‘do not cross’ line when you’ve both reached a comfortable distance. The bears back off when they hear a sharp or loud sound that is unusual in their environment, so the guides use verbal communication and bang rocks together to manage the encounters. The bears were as curious about us as we were about them, but they knew, in every case, when they had gone far enough. This deeply felt exchange and this understanding is what helps to keep them safe and wild. I’ve been struck through the heart by these beautiful animals. Yes, they’re a predator, but spending time with these giants of the North, you come to see and feel their true souls. In some ways they remind me of dogs; they each have their own personality and character, they play, they listen, they observe, they love and survive — and they deserve to be loved, protected and respected. That’s why the people of Churchill Wild have dedicated themselves to facilitating these face-to-face exchanges. 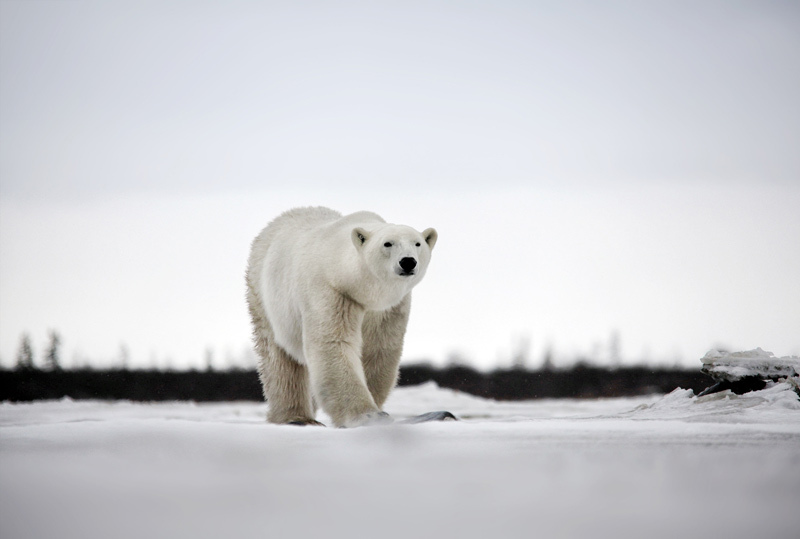 You won’t just learn about polar bears; you’ll meet them on their home turf.